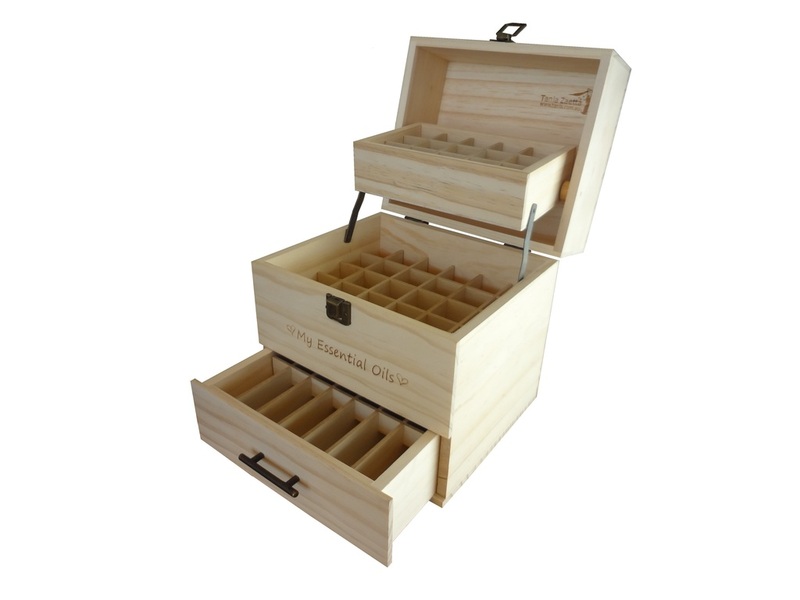 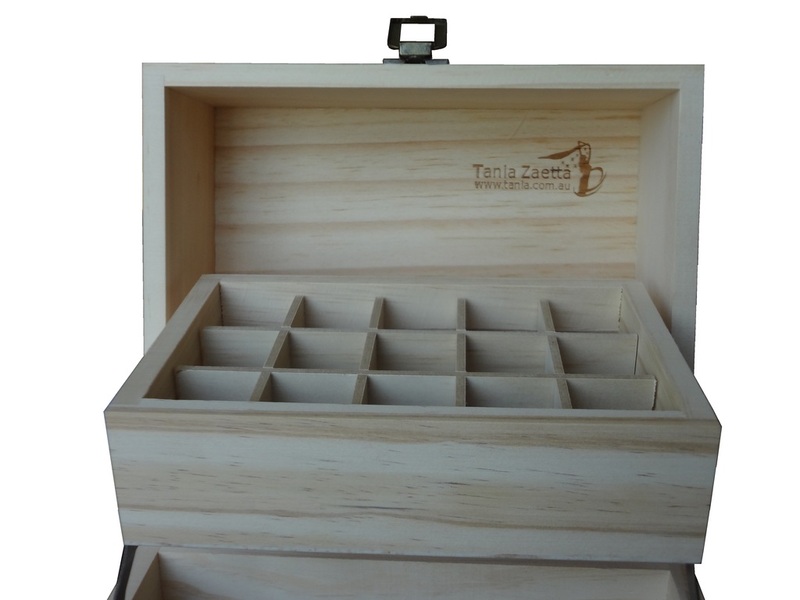 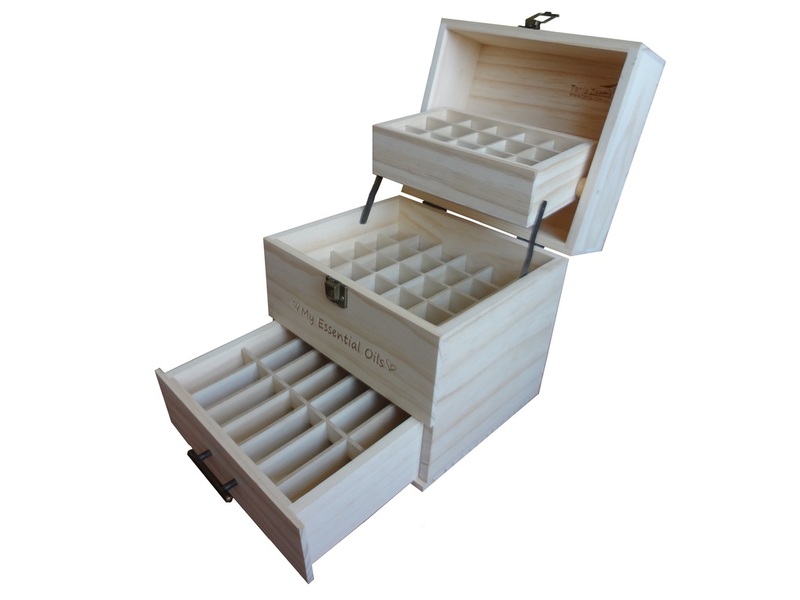 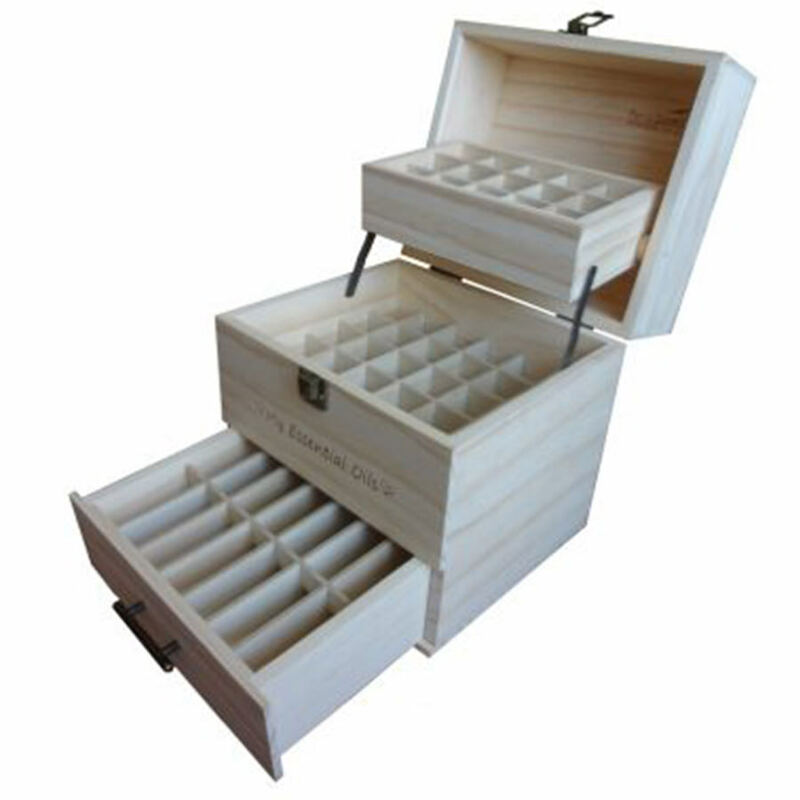 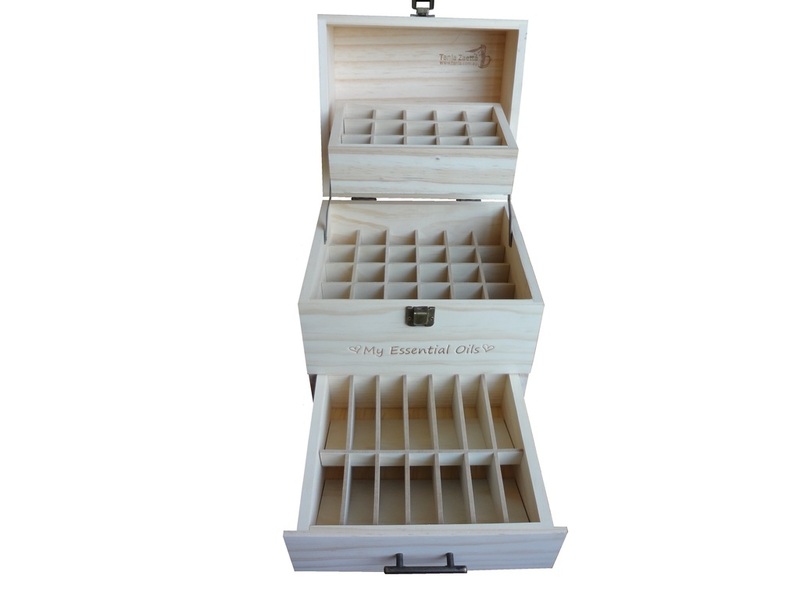 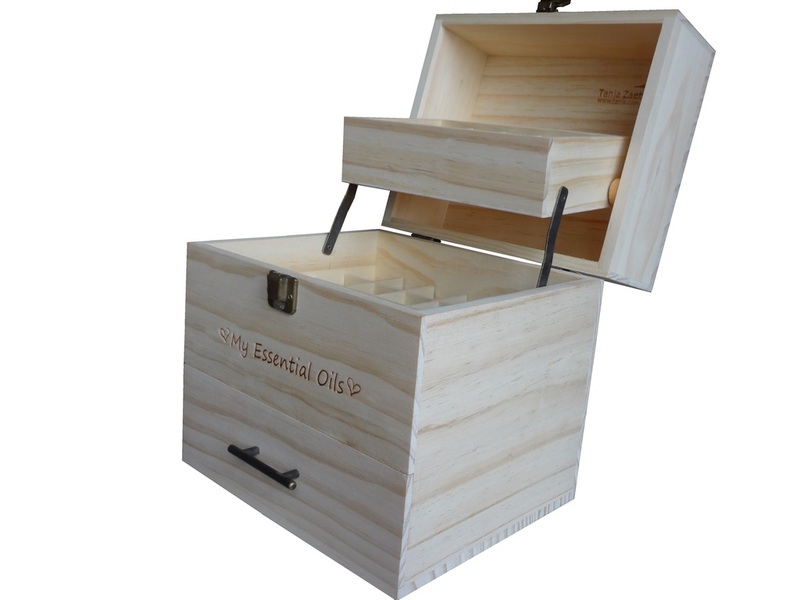 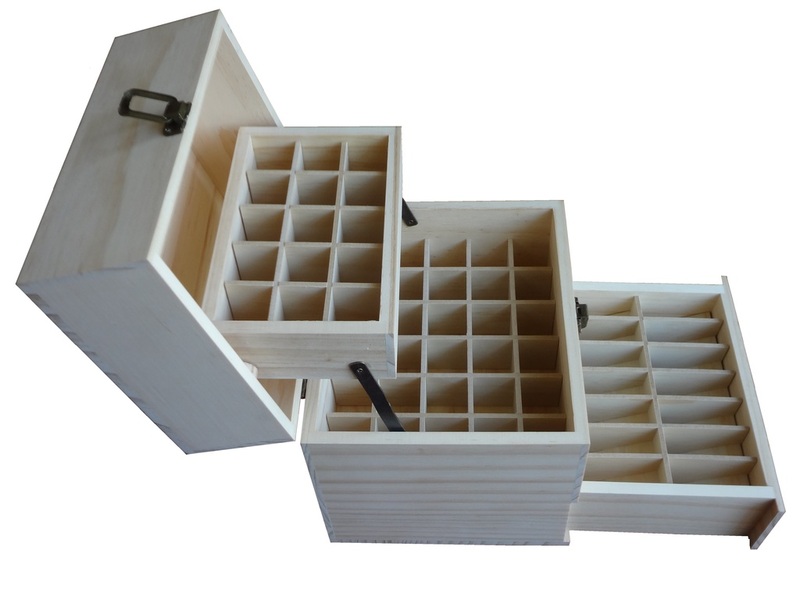 Imagine how good your essential oil collection will look in this beautifully crafted wooden storage box. 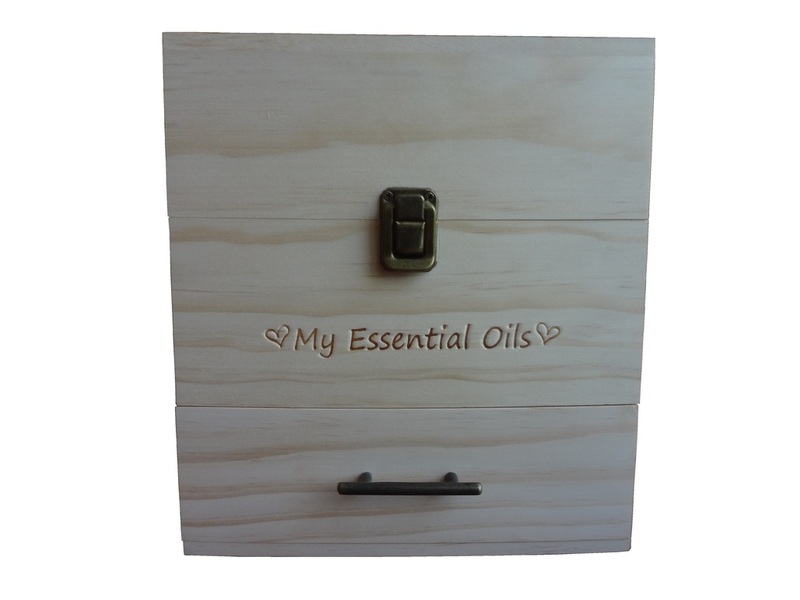 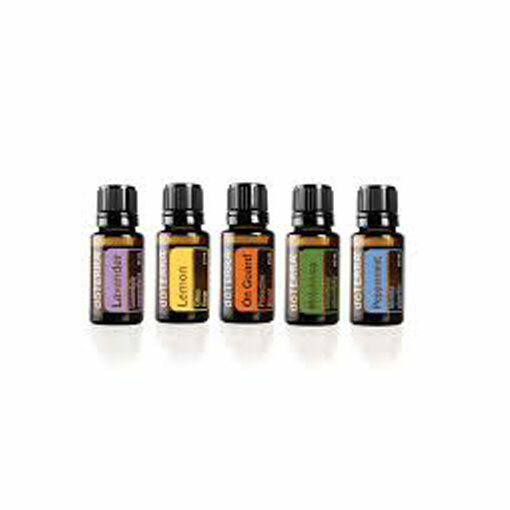 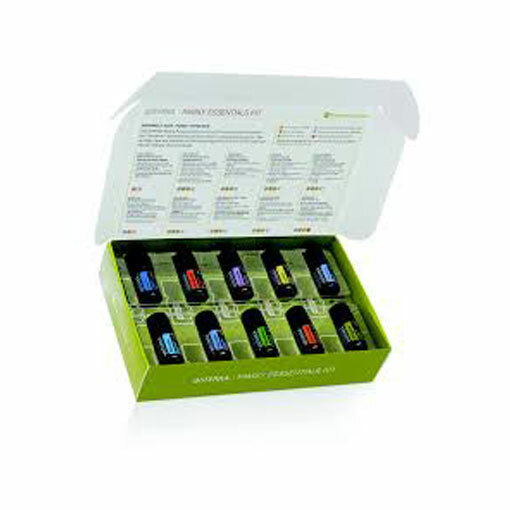 Display your much loved essential oil collection proudly for easy accessibility and visibility. 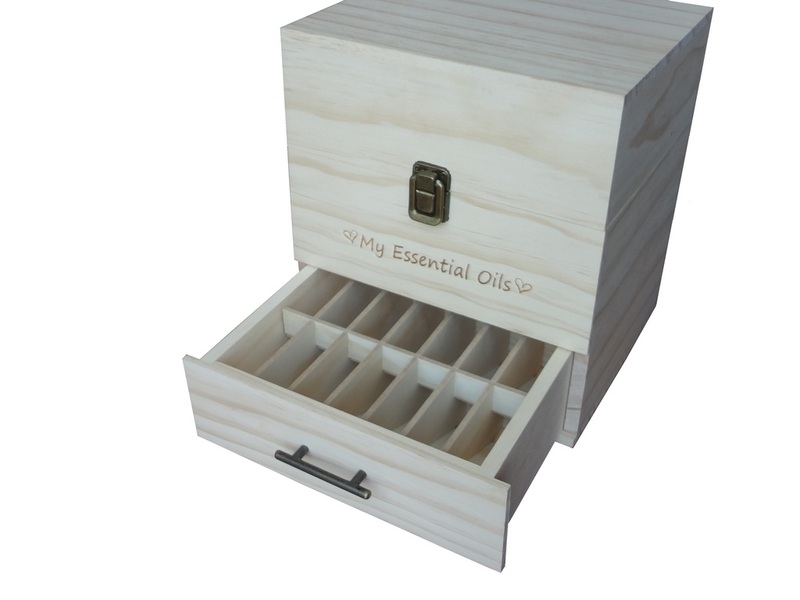 This beautiful wooden feature box will keep your essential oils protected and organised and is the most sought after style by professional therapists, retail stores and mums at home. 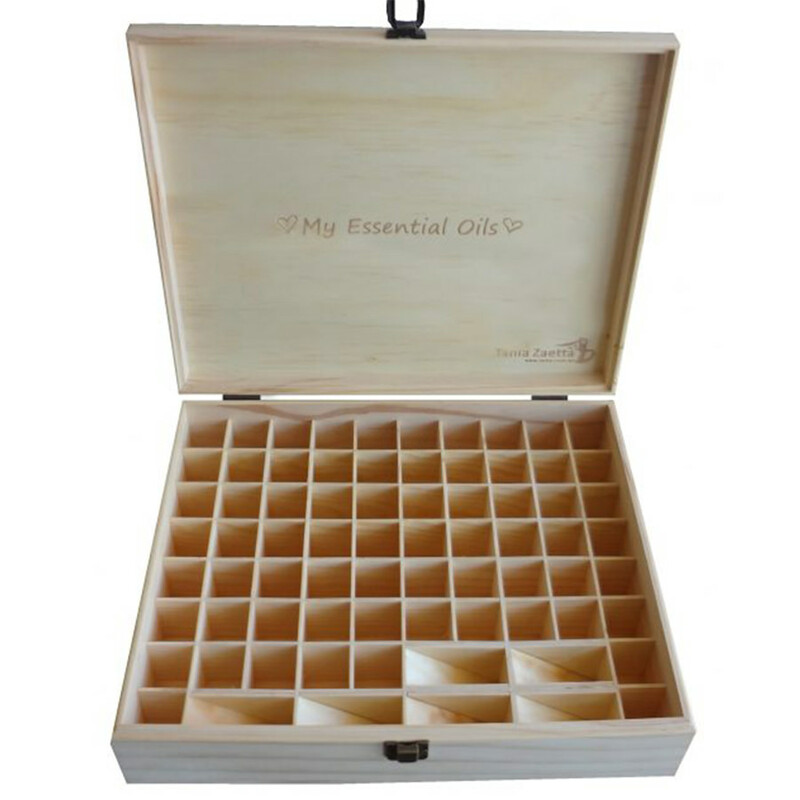 Engraved with the words ‘My Essential Oils’ on both top and underside of lid it’s a great carry case to be able to transport your oils with your where ever you go. 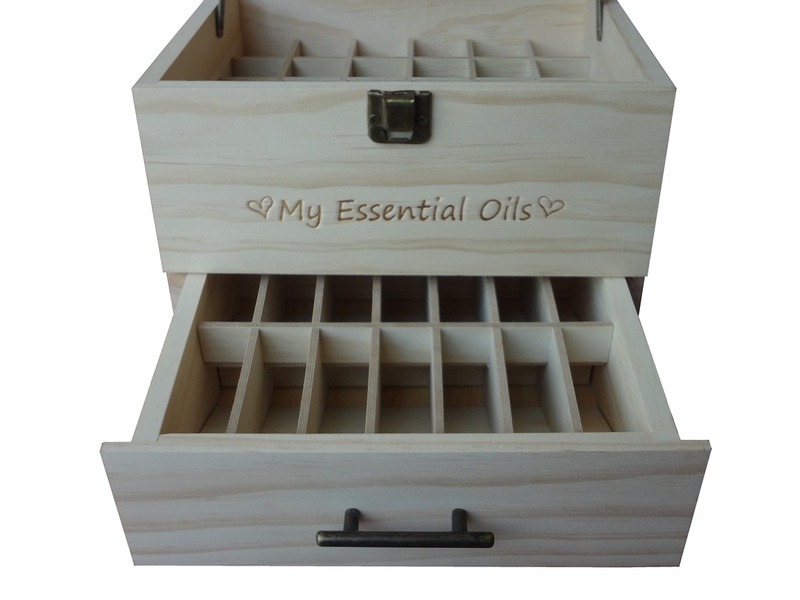 Has 74 compartments holding more essential oil bottles, roll-on bottles and small spray bottles than any other display box, plus looks FANTASTIC as a feature piece in your home or store. 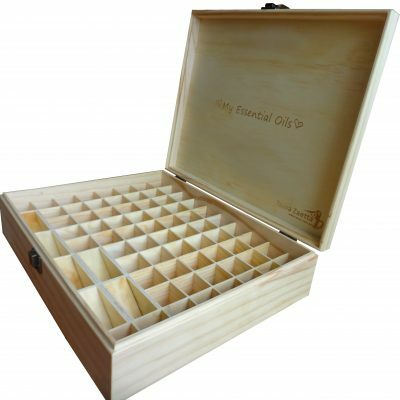 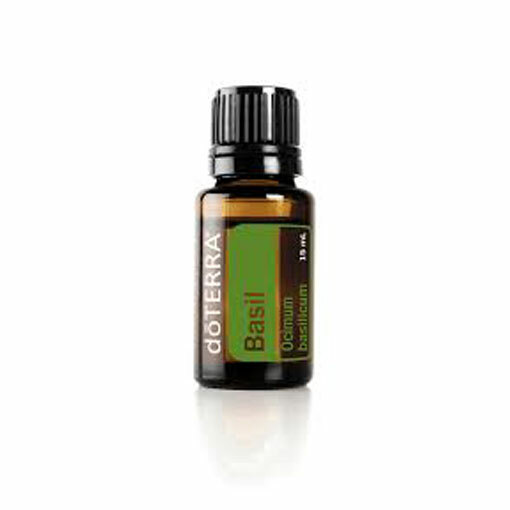 Very popular for essential oils showings, store displays, markets, seminars and as a feature piece in your home.